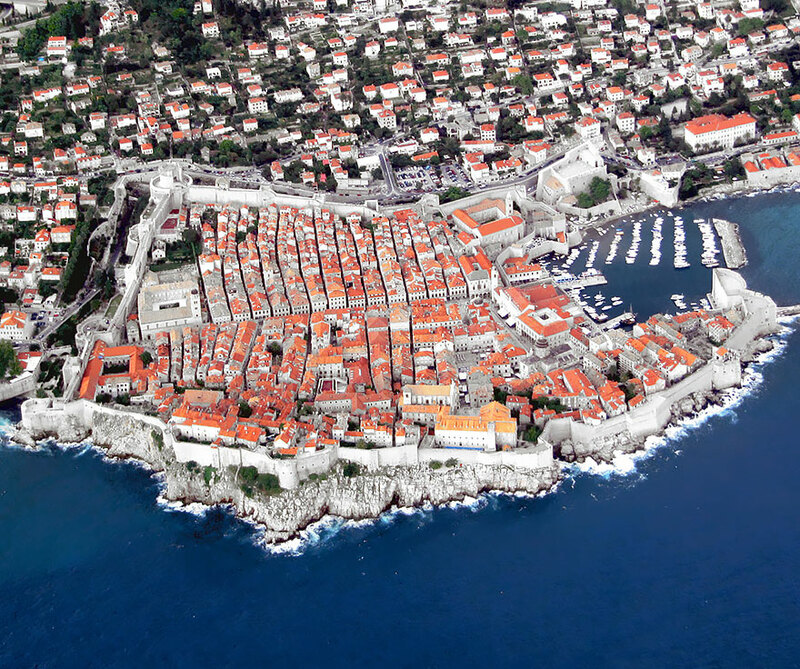 Dubrovnik is one of the neatest old towns in the world. I’ve been there twice on cruise ship speaking gigs. It’s a medieval city, complete with a wall that protected the population inside. While there are others – Rothenburg in Germany comes to mind – Dubrovnik is a real living city. All the shops, restaurants, churches and infrastructure to keep the 1,500 residents happy. The ‘”fortress” was involved in the 1990’s Bosnian War decades ago and shows bullet holes to prove it. It is a World Heritage Site. For a few bucks you can walk around the 15-ft top of the authentic barrier wall. It runs about a mile and you get some spectacular views of the Adriatic Sea. Like many of the world’s “neat” historical sites, it’s being overrun by us – tourists. As a storybook locale for movies, many are filmed here: – Game of Thrones, Star Wars and Robin Hood. More bodies and heavy equipment to crowd the narrow walkways. It’s a favorite of tourists. Last year, 529 ships with upwards of 3,000 people each sent out tenders to drop folks into the town. In 2015, the number was 475 and 463 in 2014. We’re now talking about 800,000 people jamming the limited space of Dubrovnik. Hey, you’d think the locals would love the business! The truth is that visitors only get a few hours to sight-see, so they don’t stroll the shops and buy anything. Food is free onboard, so the restaurants suffer. Locals are moving out. They are tired of gawkers looking in the windows of their little cottages. Doing business “downtown” is a major chore. Every summer day it’s a zoo. The Dubrovnik Port Authority and the local government are thinking of limiting the cruisers to 8,000 per day. Many other World Heritage sites are also suffering from massive crowds – Machu Picchu, Venice, Galapagos and the Pyramids among them. Tune in each week for more cruising news. You’re working and don’t get exposed to stories like this….we’ll keep you covered. It’s a good touch to be able to converse with your audience when you do speaking onboard.